Looking to get your finances back on track? Are you ready to take the plunge and finally launch the business you’ve always been dreaming of? If so, Gateway Equity is the place to go to get your short-term business loans in Perth and private loans quickly and easily. Regardless of your financial background, we are here to help you reach your financial goals, omitting the difficult processes that often come with banks. We offer investment loans and short-term business loans in Perth, as well as second mortgages, with the fastest approvals the industry has to offer. Gateway Equity is one of the very few financial institutions in Perth that believes that everyone – irrespective of their history – is deserving of a second chance. 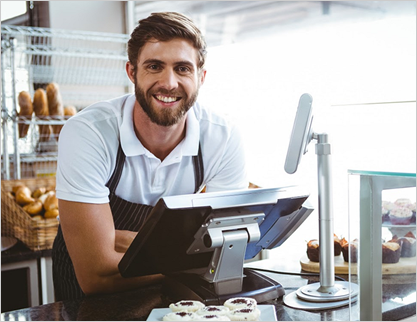 Based in Melbourne and serving as a first point of contact for many looking for financial aid, we’ve been providing short term business loans Perth residents have been relying on for years. We pride ourselves on offering you a fresh start in achieving your financial goals, fast processing and excellent customer service. We make the process as easy as possible for you so that you won’t need your credit history, any tax or BAS statement or any sort of arduous documentation to be considered a valid candidate. We simply ask that all loans are a minimum of $10,000 and that applications own some real estate in Australia, that’s it! It’s becoming increasingly difficult for people to get a hold of short term loans in Australia without a tax or BAS statement, especially for those with low or modest statements. Furthermore, the bigger banks have become stringent with their vetting process, thus, there is greater demand for hassle free credit. We believe that everyone deserves a second chance and considering how easy it is to incur bad credit, we want to prevent that from hindering you attaining those important life goals you’ve set out for yourself. Additionally, we can provide you with quick cash, which can be readily available as early as tomorrow. Finally, our customer service is unrivaled and we like to treat our customers as people with specific needs and circumstance and not as credit ratings. Our specialty lies in the ability to issue second mortgages as well as investment loans and short term business loans in Australia. A second mortgage is one taken out against your current property and is a great way to free up cash assets. That cash can then be used for starting a business, investing in property or wholly improving your current lifestyle. Moreover, we provide loans for investors and business start-ups to help free up some necessary capital.